So you have a skill and you want to set up your own business and make money from it. What do you need to know and what is the right approach to increase your chances of success? 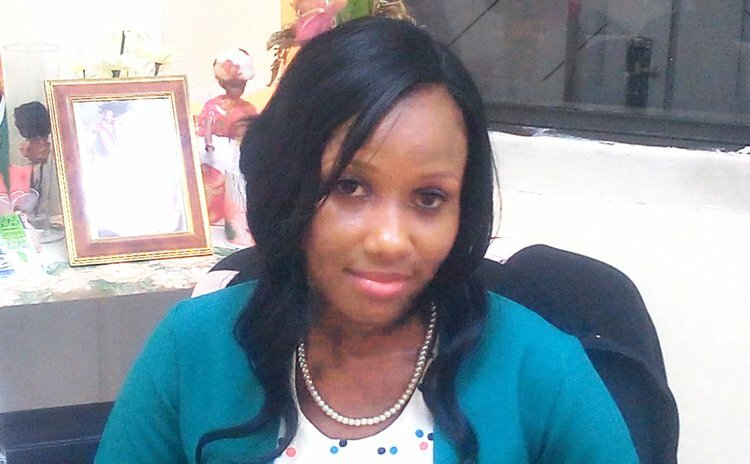 We asked National Development Foundation of Dominica (NDFD) Business Support Officer Naomi Romain, who explained what the financial institution expects prospective entrepreneurs to know and do. Why NDFD? Well, because NDFD's specific mandate is to provide loans and support services to small and medium sized businesses to generate economic activity and alleviate poverty. Management: While many prospective entrepreneurs have a marketable skill, they often have little knowledge of business management, Romain noted. NDFD advises entrepreneurs to ensure that they operate as a business; that is, learn accepted business management principles and apply them in their professional activities. Market Analysis: A comprehensive market analysis is essential prior to start-up. "Examine your market . . . go out . . . interact . . . we have saturations in specific types of businesses," Romain said, pointing out that Dominica's population is small. "So if it is you want to go into something that is already in existence, we are not saying, "No don't go into it". . .
"We are saying examine the market to find out how you may have a competitive edge . . . You have to look at your competitors. What do they do?" This means entrepreneurs who want to enter well-established markets must seek new opportunities in untapped aspects of the market. Business Plan: NDFD advocates a detailed business plan to guide the establishment and development of a small business. Romain said the business plan must set down specific elements, including the business concept, the entrepreneur's vision, mission, keys to success, objectives, products and services. It must also include strategies to capture and develop the market, sales strategy, hours of service, management team, organisational structure and revenue projections based on market analysis. She said the plan may need revisiting and updating from time to time because it is necessary to adjust the business to changing market conditions. Type of business: New entrepreneurs have to decide what type of business they want to run. To function as a sole trader, one has to register the business name with the Companies and Intellectual Property Office. Based on the complexity of the business, the entrepreneur can decide to form a partnership with someone who possesses knowledge beneficial to the business. Romain said a limited liability company can later be formed so that the business liabilities are limited to investments, which removes the risk to the operator's personal assets. Launching: Romain advises entrepreneurs to hold a launching ceremony and invite the media when they start up a new business venture. "You need to let people know you exist," Romain explained. And publicity should be continuous, she advised. Marketing Plan: She said it is important for entrepreneurs to acquire knowledge of effective marketing techniques, make a marketing budget and activate a marketing plan. The NDFD officer said implementing a marketing plan is vitally important to ensure that people know the business exists and to attract customers. Additionally… Romain reminded that a small business person does not have a regular 'eight-to-four' job and may often have to work long hours. "But is your personality suited to do this?" she asked. "Would you be willing to go the extra hours? Would you be willing, at the start, to work without even getting paid?" "You have to consider the fact that you are going to have almost a 24 hours job for the first several years…of the business," she pointed out. Further, NDFD expects entrepreneurs to be informed on products and developments in the market and keep on top of market trends to provide clients with up-to-date service. She underscored the importance of customer service, noting that customers may take their business elsewhere if they are not properly treated. Financial management is another key area and can be a significant pitfall, Romain noted. Romain maintained that an entrepreneur cannot plan properly to reinvest in a business unless there are proper records to guide the process. She added that it is critically important for small business owners to set aside finances to reinvest in the business occasionally and ensure its stability and growth. Other start-up pitfalls for new entrepreneurs include failure to control operating expenses, unsuitable location and offering too much credit without the necessary follow-up, Romain said. In terms of loans, NDFD recommends enrolling in the Dominica Youth Business Trust Programme (DYBTP), which is available to persons 18-35 years of age. On successful completion of the programme, it is possible for young entrepreneurs to get loans of up to $20,000 from DYBT.